On Day 7, I talked about creating a new offer where I will offer 10 free seats in my mentoring program (value $197) for the first 10 people who join my membership site. In order to make this campaign work, I wanted to implement a more structured approach to my sales letter. I have realized during this challenge that my sales letters (for any of my offers) are easily the weakest component of my marketing arsenal. There is no better time to correct it than now. So… in the end I did not complete the offer for the 10 free seats but it is definitely a work in progress (more on that in Action Item 2). As I mentioned, I am going to do a promo for the first 10 membership buyers. They will get my $197 mentoring program for free. But I want to make sure I sell this program properly. The sales letter for this offer is going to laser focus on my absolute ideal candidate. 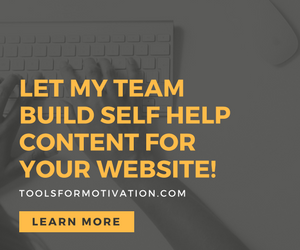 In general, my ideal candidate is someone who wants to run a full time business online and needs lots of content to build their brand and their product catalog (this is a huge audience). I have completed the headline, the testimonials and the opening remarks. I now need to work on the body of the letter as well as the calls to action and my guarantees. My intention is to get it done this weekend while I’m in Raleigh, NC at the Warrior Forum Event. My new deadline is to release this offer on Tuesday morning once I return from the conference. This one classified ad on the Warrior Forum has been responsible for around 30% of our membership sales so far. But it was out of date and I had not promoted the page in about 7 weeks. So I spent about an hour rewriting and redesigning the page.